Tomorrow see’s the launch of one of the coolest software tools I have ever had the pleasure to “Try out”. It’s called Video Maker FX and it is awesome. So awesome in fact that I spent a whole night playing around with it churning out marketing video after marketing video. I’ve honestly never seen anything so easy to use yet packed with so much functionality. The demo video above took me literally 15 minutes to create from start to finish and that was my FIRST one. It’s incredibly EASY and user friendly. I didn’t even watched ANY tutorial videos or read over any training material. 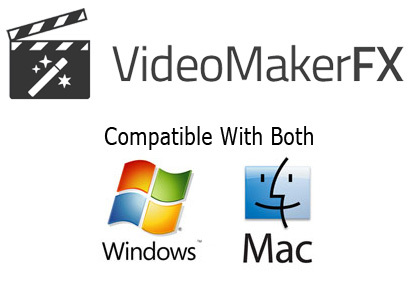 Video Maker FX is without doubt my FAVOURITE software tool in 2014. Not just because it is so easy and fun to use… but because it now means I can create TONS of marketing videos for all of my sales pages and well… for literally anything! Whatever niche you’re in and whether you are online of offline, Video Maker FX can be used to make you money. It is the perfect software tool for you if you have offline clients. Imagine how many professional sales videos you could sell to businesses have have websites BUT have no video? This will be easy pickings and the videos literally take you minutes to create. My example video above just used a background music track but you can also add voice overs too. 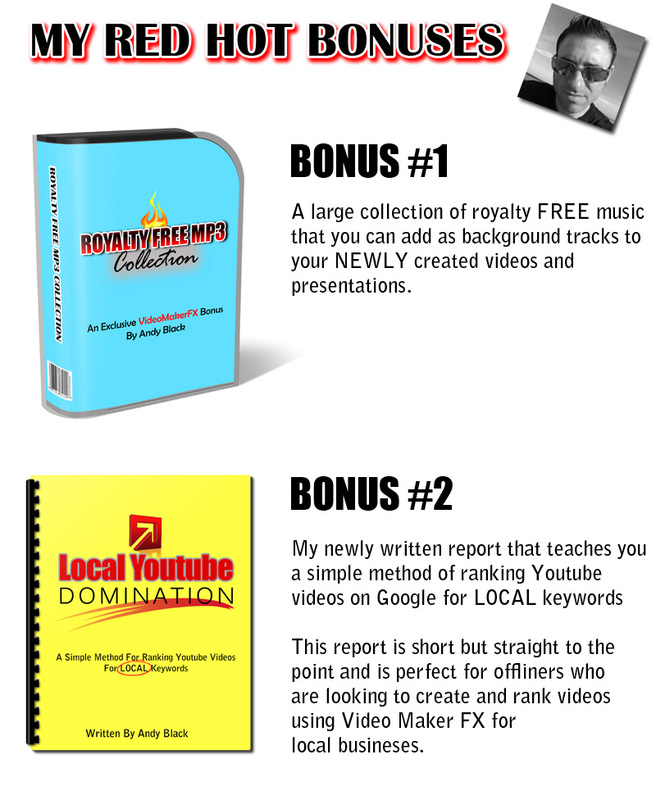 The software is LIVE now so make sure you check out my NEW exclusive bonuses below and head over to pick up your copy. WANT TO SEE ANOTHER EXAMPLE VIDEO I MADE? I created the video above to help market one of my SEO software products and it took me about 15-20 minutes to complete. All bonuses have been uploaded to JV Zoo and are read and waiting for you. 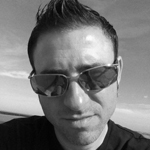 Copyright © 2014 Andy Black: Online Entrepreneur. All rights reserved.